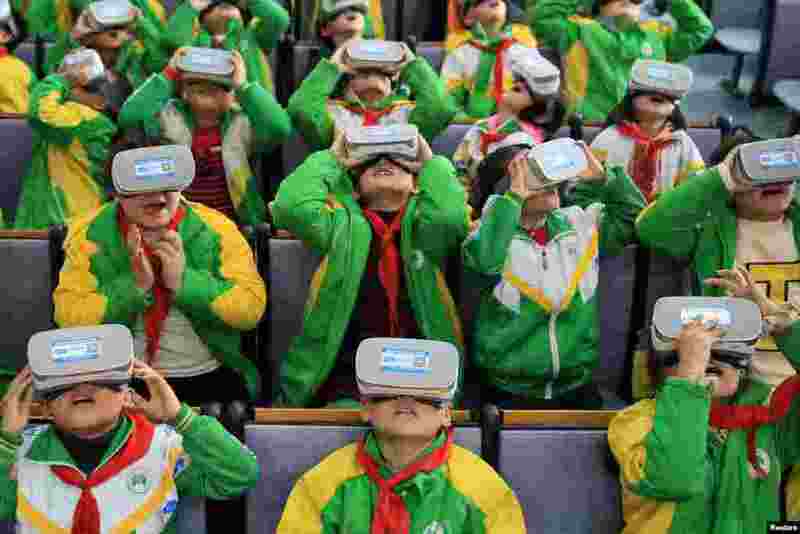 1 Primary school students wear virtual reality (VR) headsets inside a classroom in Xiangxi Tujia and Miao Autonomous Prefecture, Hunan province, China, March 14, 2018. 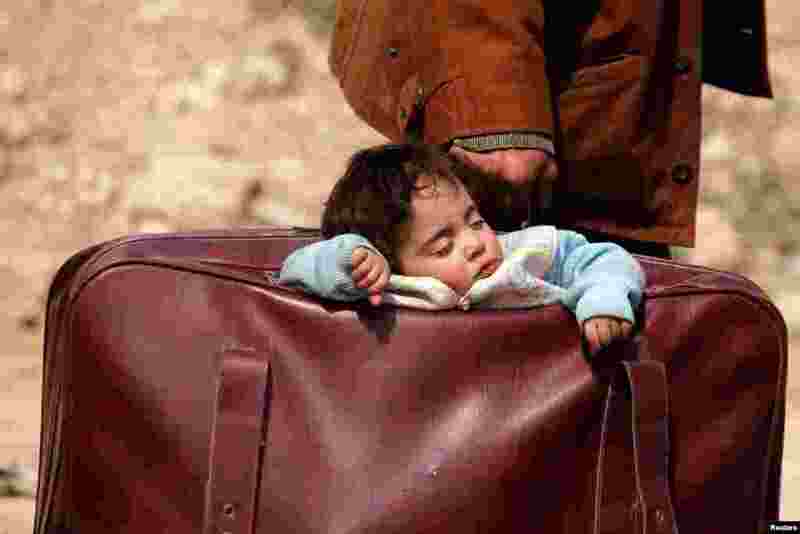 2 A child sleeps in a bag in the village of Beit Sawa, eastern Ghouta, Syria. 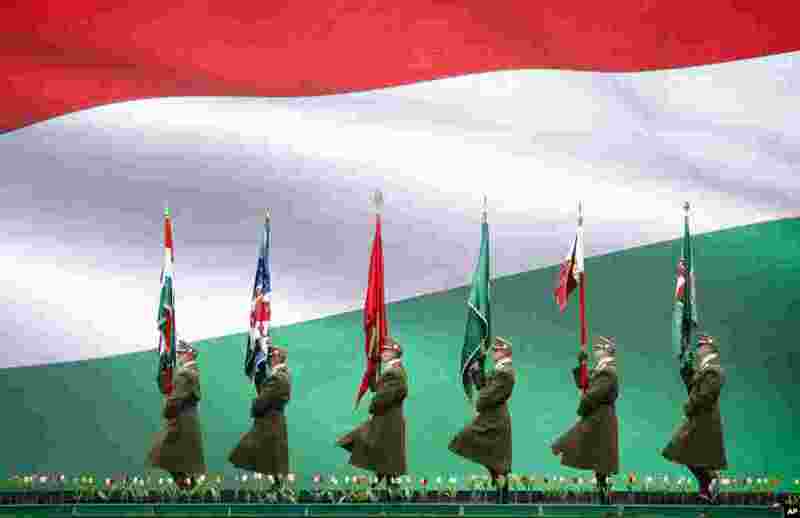 3 Hungarian soldiers march in Budapest, during a ceremony celebrating the country's national holiday. 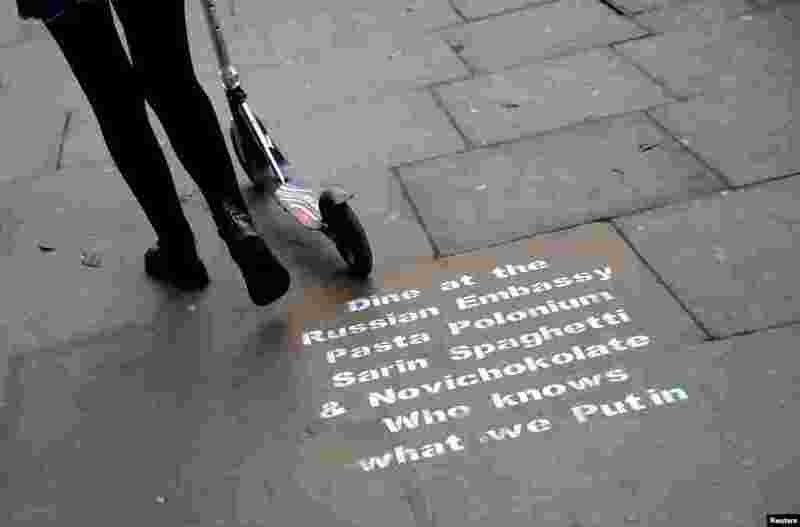 4 Graffiti sprayed on the pavement near the entrance to the Russian embassy and ambassador's residence in London.